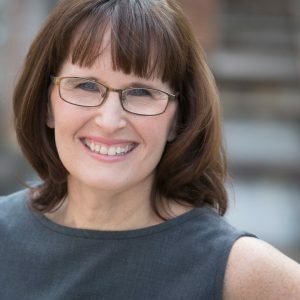 Laurie Genevish is passionate about making the process of finding the ideal college easier for parents and their children. She’s the mother of 9th grader Donnie and 5th grader Thomas. Laurie and her husband, Scott, are active in scouts, marching band, and the PTA. And, like you, they want to help their children make the right choices. Laurie learned the hard way about the dangers of not doing research before choosing a college. “I went to college to be a marine biologist because I love being in the water,” she recalls. “When I arrived and found out how much math and science was involved for that degree, I was shocked. These were two subjects that did not come easy for me. Now here I was in college wondering what I was going to do next.” She earned a communications degree and gets to the beach as often as she can. High schools don’t often prepare parents and their children for assessing their options. Many career tests and reports from those tests offer generic information that doesn’t help students and their parents make informed decisions about careers and schools available to them. In the corporate arena, Laurie has used assessment technology for many years to help coach and hire, develop and retain employees in jobs that they love. These companies include Penske, Freshii, Marlin Leasing, and HeatTek. Now she wants to use it to help young adults plan for their future. Through the My Ideal College process, Laurie delves into what a student would really enjoy and shares exactly what skills and education background they need. Laurie believes her services should not be available to just those families who can afford it. She plans to one day donate her services to students who are plagued with homelessness.